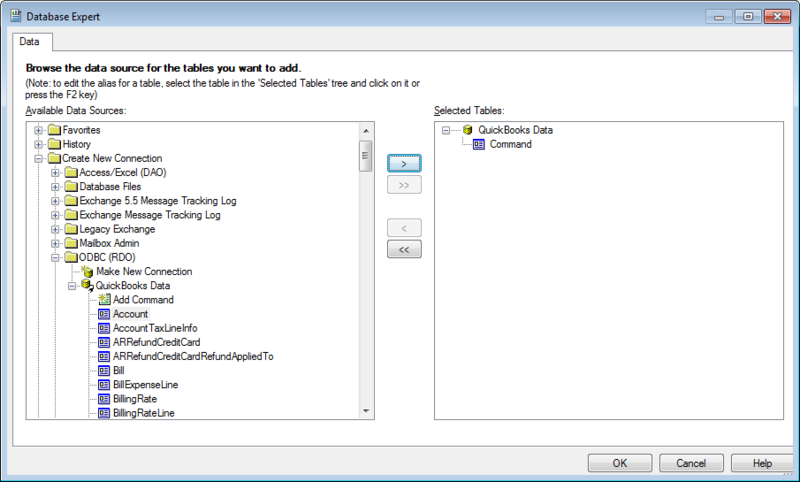 Your QuickBooks Company File (.qbw) is a flat file database. 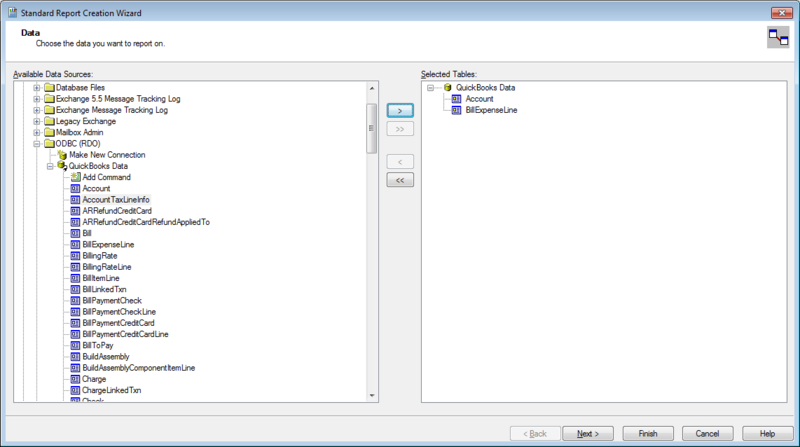 Having an ODBC driver will not change it to a relational database. For this reason, relating more than several tables will begin to severely degrade performance as there are no native indexes. 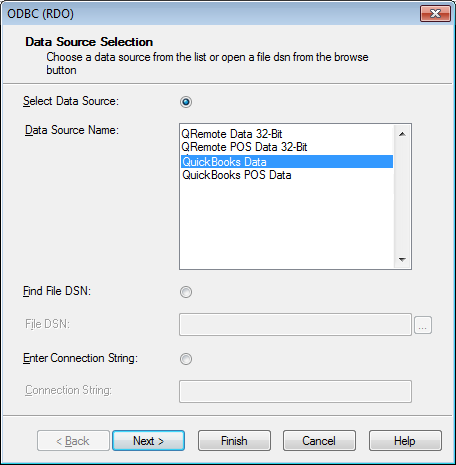 QODBC acts as a 'wrapper' around the Quicken qbXML SDK so customers can finally get at their data using standard database tools like Crystal Reports without having to learn the SDK. 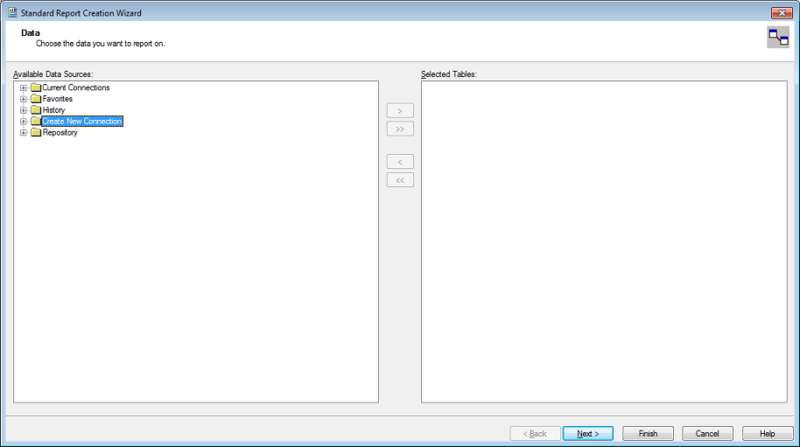 For Crystal Reports this is the only method of retrieving QuickBooks data. 1. Use filters in particular date range whenever possible. 2. When grouping by a table field, use a formula to put the field within it. This allows Crystal to do the grouping in memory, rather than the driver, which will be much faster. 4. Use VB Demo to find out which fields you need. 5. 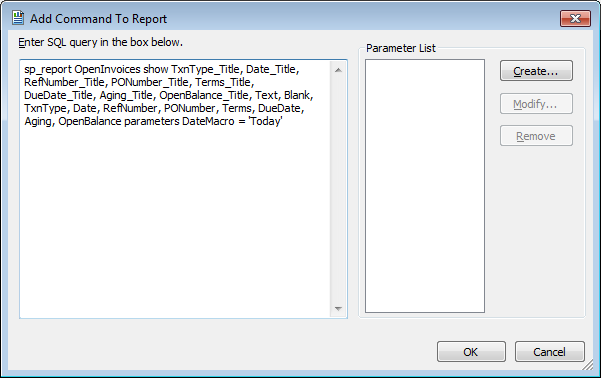 Use sp_report (see: QODBC sp_report) to use the QuickBooks report engine that already “relates” the tables. 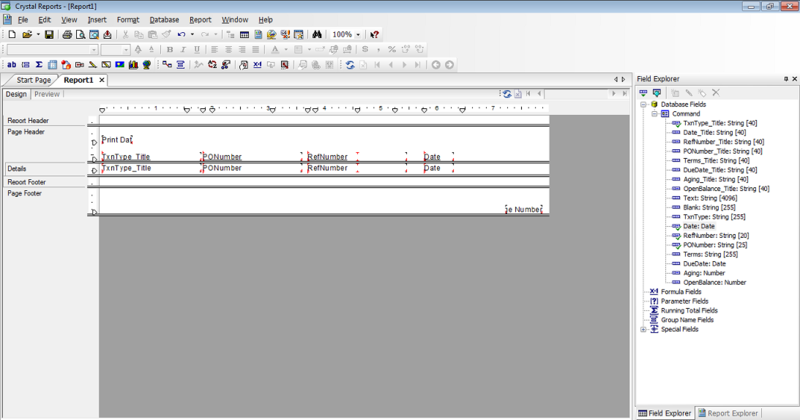 You can relate a sp_report and a table to get a variety of results. 6. 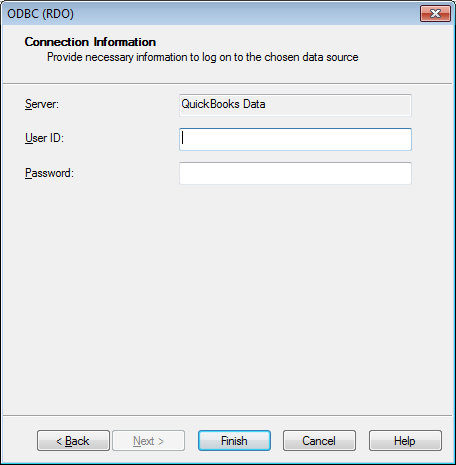 Expecting QODBC to operate similarly to other relational based ODBC drivers will cause some frustration because Quicken exposes its data only via XML. You will have to think around the box, but your efforts will be rewarded. within the Command option works ok.
8. 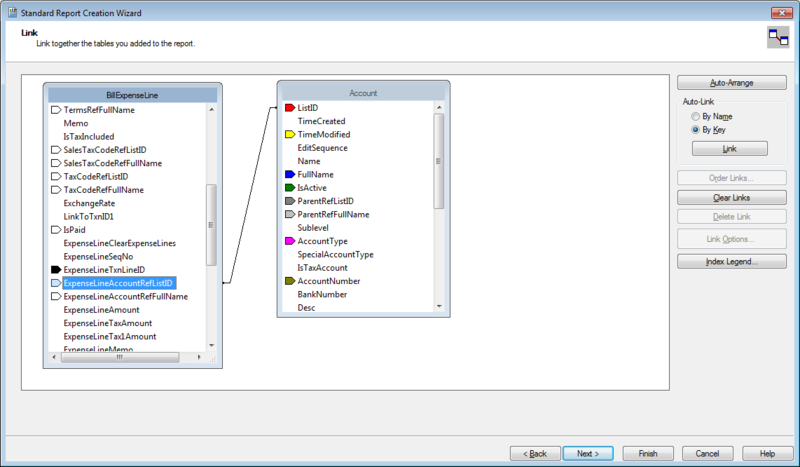 Creating an outer join for a sp_report or to a table is not supported within a manual SQL statement. 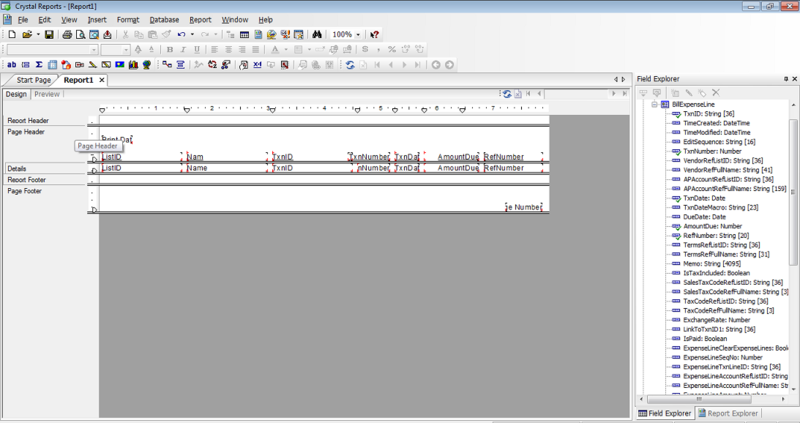 However, it is supported within Crystal Reports by visually linking the Command option and the table. 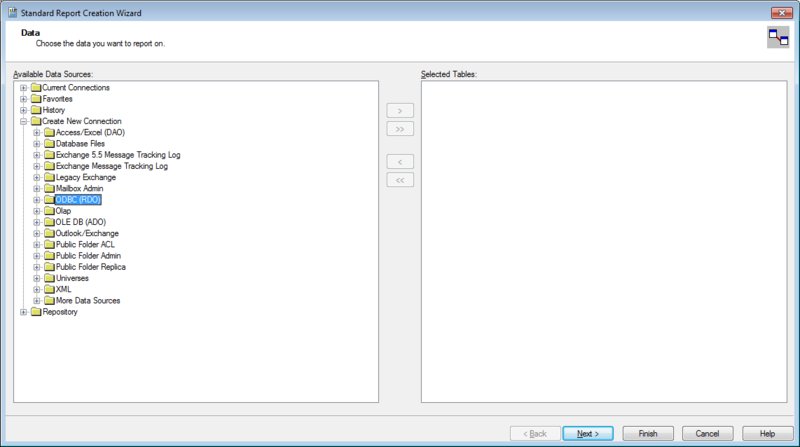 Note: Using QODBC within Crystal Reports is more art than science. We have produced a variety of custom reports and forms for clients that are nothing short of amazing. If time and learning curve are important factors, we may be able to tweak one for you. The table fields are now available for selection in your report. Run reports as normal from this point. 1. For sp_reports (see: QODBC sp_report) or manual SQL statements, Highlight Add Command and move the right panel in Database Expert Window. 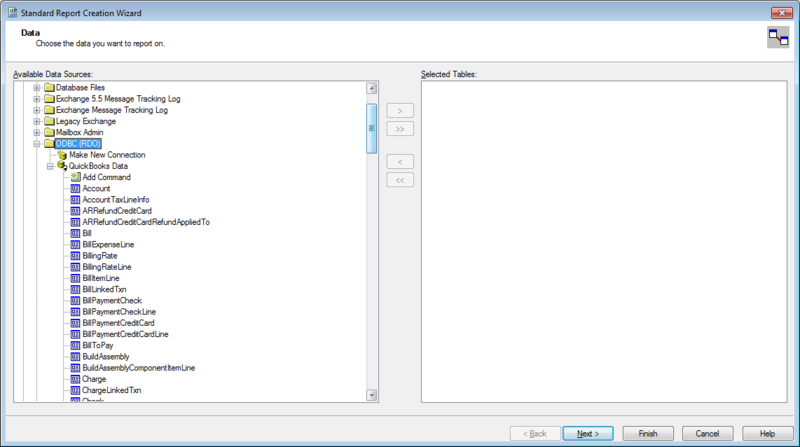 The fields as specified in your SQL statement, are now available for selection in your report.